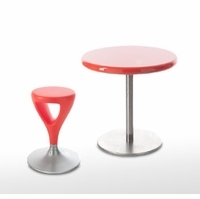 Contract table for bars and caf�s - two different heights of tables to match up with their respective stools...portrays a minimal design; with or without footrest. Table 105 Dim. : 70 x h 95 cm. Stool 75 Dim. : 30 x h 75 cm. Table 70 Dim. : 55 x h 70 cm. Stool 55 Dim. : 30 x h 55 cm. This Beverly Hills 90210 store is nirvana for people who want Bauhaus, art deco, modern, mid century, or designer furniture at wholesale prices." Google� states"This West coast Internet pioneer features retro, modern, and post-modern furnishings at rock bottom prices. Gibraltar offers an exceptional array of wholesale, architectural, modern, high quality items at factory direct discount prices. 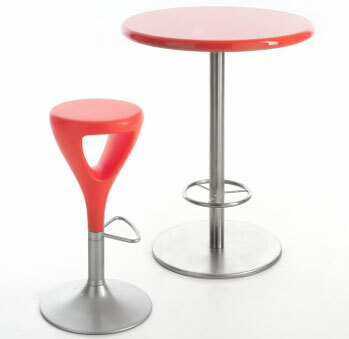 Gibraltar Furniture is one of the leaders in the world of Internet modern architectural products. 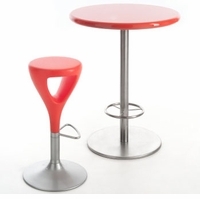 Gibraltar sells furniture manufactured in Italy, Asia, and the USA and all sales are tax free." Yahoo News reports that Gibraltar Furniture is an "Secret Weapon Web Site for blue chip merchandise at warehouse prices Yahoo News, click here.